Wow, time flies! 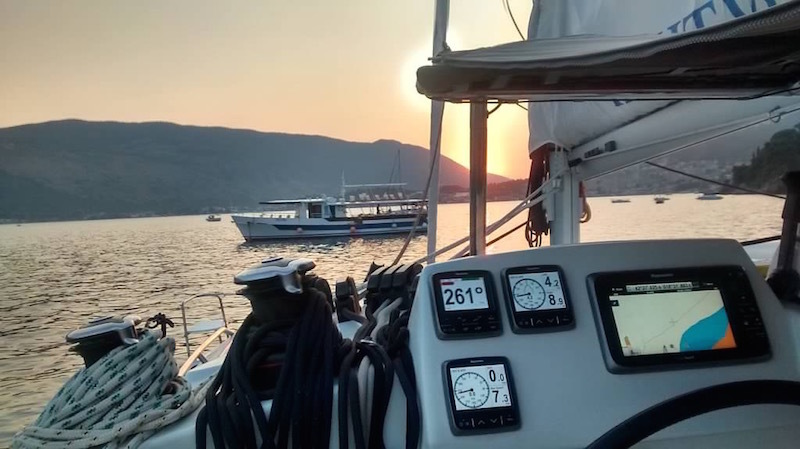 It’s hard to believe I haven’t posted about the fun I had sailing the coasts of Montenegro and Croatia this summer yet. Time to fix that. Long story short, it was one of the best experiences of my life. I went to Europe in July with my friend Travis following a month in the Seychelles, where we’d sailed around the small island nation smack in the middle of the Indian Ocean (more on that here, here, and here). Our Balkan sojourn began in Belgrade, Serbia after a quick stop in Dubai, UAE. 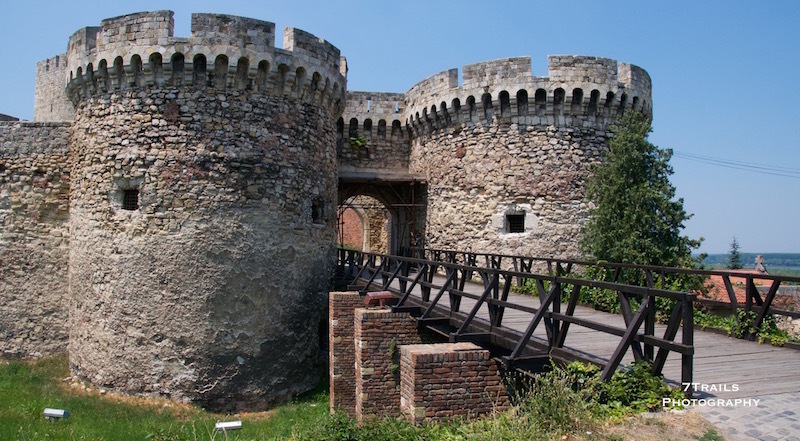 Belgrade is a huge and vibrant city perched above the confluence of the Danube and Sava rivers. We made the most of our short stay – touring the city’s many historic sites, checking out the local beach scene at Ada, and indulging and somewhat over-indulging in the delicious food and rakia (local home-made brandy) served along Skadarlija, the city’s famous Bohemian quarter. We took the train two days later from Belgrade to Montenegro to begin the next leg of our sailing adventure. 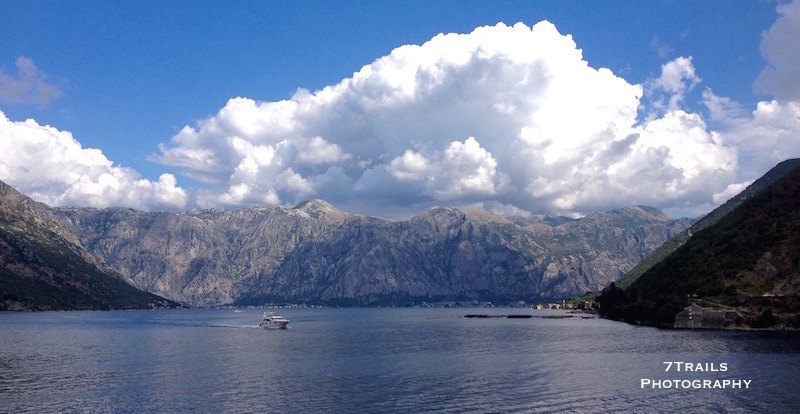 The trip is long at nearly 11 hours, but the journey from Serbia to coastal Montenegro is one of the best train trips in Europe and is well worth the time. The views from the train were as amazing as advertised and we enjoyed our trip crammed into a compartment full of the nicest old Serbian women you’ll ever meet. We arrived in Bar late in the evening and reached our destination in Tivat an hour-long taxi ride later. We spent a few days in Tivat at Hostel Anton, a charming and welcoming family-run hostel in the hills overlooking the city. 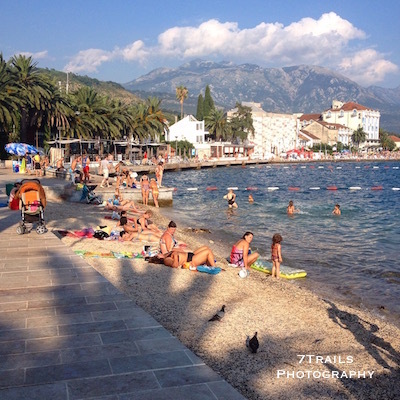 There’s not much to Tivat but Hostel Anton is a great base from which to explore the sights scattered around the natural wonder that is Boka Kotorska (the Bay of Kotor). 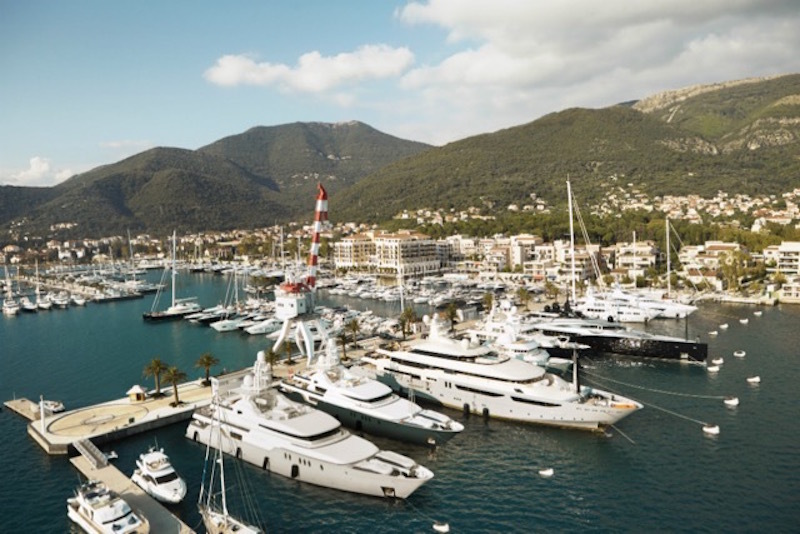 Tivat’s biggest claim to fame is Porto Montenegro, a new super yacht marina built on the grounds of a former Yugaslav naval base. With names like Rothschild, Munk and Arnault attached, Porto is an ambitious luxury project with facilities for boats as big as 180 meters that aims to become the largest super yacht port in the Mediterranean by 2020. The marina currently has a mere 450 berths out of the 850 that are planned. Even so, with gleaming new-construction residences, high-end retail, fountains and pools, and an array of fine dining and high end bars, Porto feels more like Monaco than Montenegro. 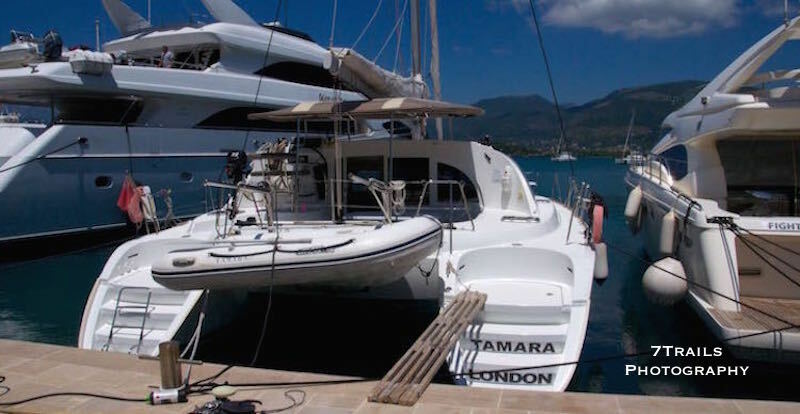 After hanging out in Tivat for a bit, it was time to go pick up our boat. 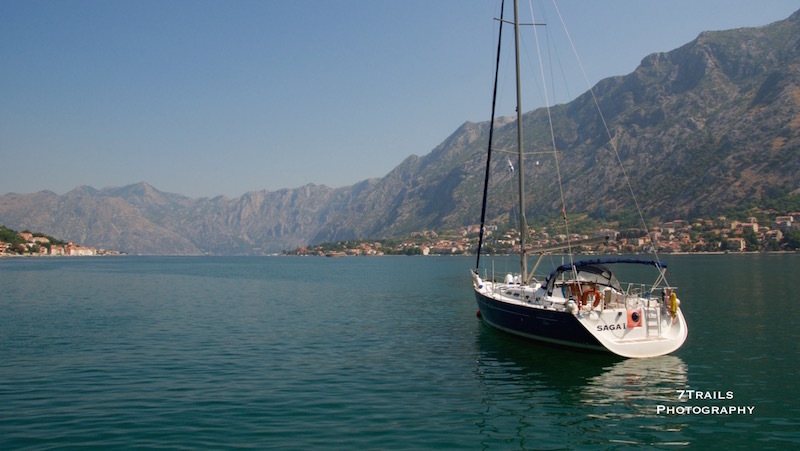 We’d spent hours researching boats from a range of charter companies operating in the Adriatic, looking into everyone from SunSail and Moorings to Croatia Charter and Adriatic Sailing. 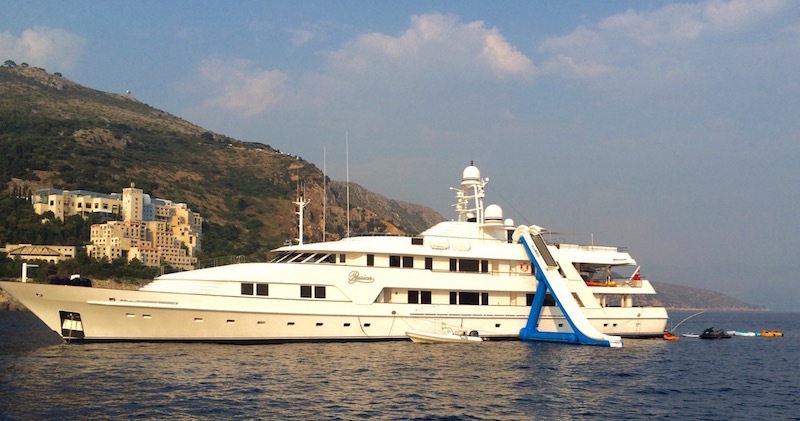 We ultimately decided to go with a Lagoon 380 from Yacht Voyage in Montenegro, which is an underrated sailing destination that often gets overlooked in the rush to Croatia. 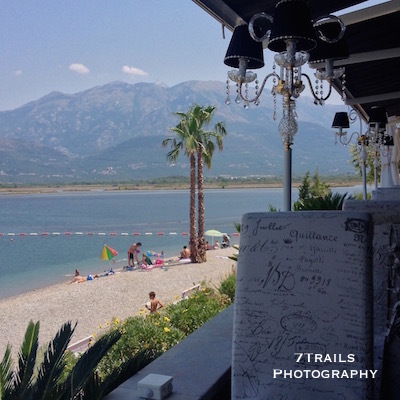 Yacht Voyage is located at Marina Solila, a family-oriented beach complex located around the bay from Tivat. We drove over to Solila to meet with Dejan, the manager, to finalize the details of our sailing adventure. Now, I’m fairly new to the whole skipper thing. I had at that point only skippered a week in Thailand and the month in the Seychelles I mentioned above and, even then, I’d never skippered a catamaran before. It almost looks like I know what I’m doing. As a result, it took some work to persuade Dejan that we wouldn’t destroy the boat at some point over our month-long charter. Luckily for us, Travis and I were eventually able to make a convincing case that we weren’t the irresponsible rabble rousers that we appeared to be. We finally crossed the passerelle (the wooden plank in the pic above) and began to get acquainted with the Tamara. We spent the next few hours nose deep in pilot books and navigation charts as Vladimir, a Yacht Voyage skipper, walked us through the boat and navigation briefings. Then we rushed to the store to rustle up the provisions we would need while on board. Travis and I travel with similar goals in mind. 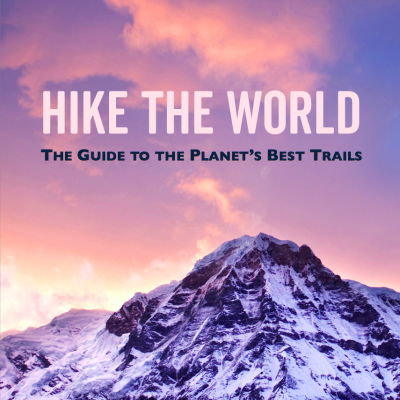 We both want to experience as much as possible of what the world has to offer. With that in mind, we felt that our crew needed one more person to be complete. We decided to hire a hostess keep things ship-shape for the first week of our trip. We met with Dejan, made the arrangements, and invited our new friend Jelena aboard. Now we were all set. Time to sail out into the wide blue yonder and see what the Adriatic had in store for us. 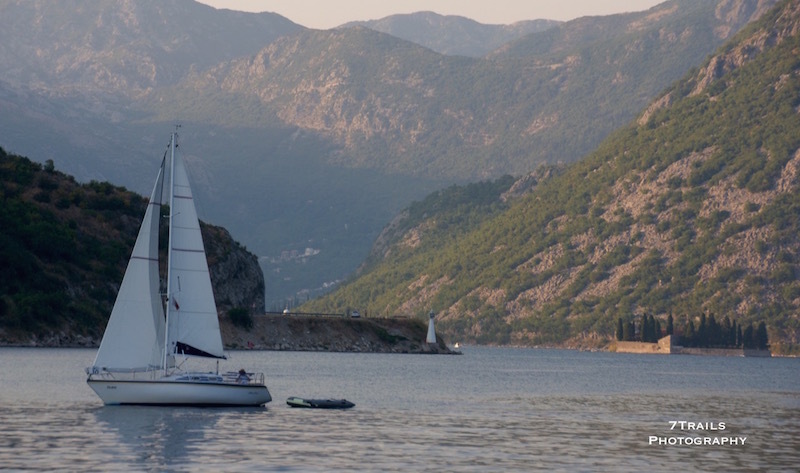 Keep an eye out for Part 2 of the Adriatic sailing adventure coming soon.